Under the federal constitution, the Bill of Rights refers to the first ten amendments of the Constitution. The Bill of Rights was added to the Constitution to address concerns about the balance between the federal government and a concern for the protection of individual rights. Currently there are 27 amendments to the Constitution, some of which deal with additional protections for individuals. If you believe that your civil rights have been violated, there are several federal laws that give you the right to sue under certain circumstances. Read more on making a claim under the federal law. "Violation of civil rights" can have different meanings to different people. First you need to know if the activity is illegal, and if you are protected. It is virtually impossible for you to pursue a civil rights claim yourself. A civil rights claim requires an analysis of the law that is generally beyond most people without legal training. If you suspect that your rights have been violated, review this section and contact attorney who specializes in the area. In some instances, there are organizations concerned about the issue of civil rights in general or on behalf of certain groups. Many civil rights organizations are national organizations with local chapters. Here we are providing information on the local Maryland contacts. You may also want to look at the websites of the national organization although most organizations will defer to the local chapter in terms of cases they are willing to accept. NAACP - the National Association for the Advancement of Colored People helps raise awareness to minority issues. Persons living in nursing homes or assisted living - In Maryland, residents in nursing homes and assisted living facilities who need assistance with living conditions or enforcement of rights can contact the Department of Aging's Deputy of Operations & Program Development program at 410-767-1091. Prisoners - Inmates with grievances may contact the Inmate Grievance Board. 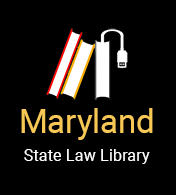 For additional assistance in finding an attorney you may want to take a look at the American Bar Association, Commission on Mental and Physical Disability Law website, or contact the Maryland Disability Law Center.